Hudson Valley artist Andrea Pacione is best known for Surrealist-Abstract oil paintings, poetry, and performance art. Pacione has developed an innovative style of sculpting, bending, and twisting paint to create doorways to the inner dimensions. As part of the scheduled programming during the Orange County Arts Council's Annual Members exhibit, this concert features Voyage Sonique at the Carriage House at Thornwillow Institutue. Les Voyageurs is a period instrument ensemble devoted to stylish performances of baroque music with a focus on French repertoire. 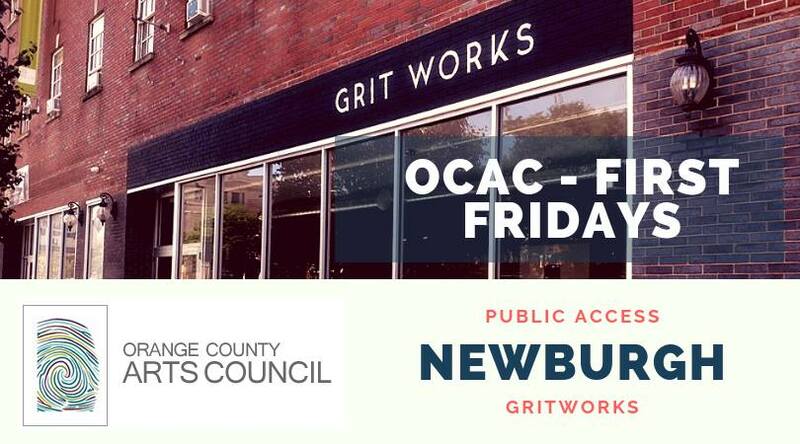 OCAC members are invited to attend our Members Appreciation event on Friday, March 22, 2019 from 5:00-7:00PM. Here, you can pick up your work from the Members Exhibition and enjoy some refreshments and each other's company. You are welcome to bring any arts materials so long as they are usable, in good condition, not too big, not too heavy, and is something you think another artist would use. Bring an item, take an item! Families with children are welcomed to participate with Agrisculpture artist, Amy Lewis Sweetman, who will lead an arts workshop utilizing recycled materials to create sculptures with families. 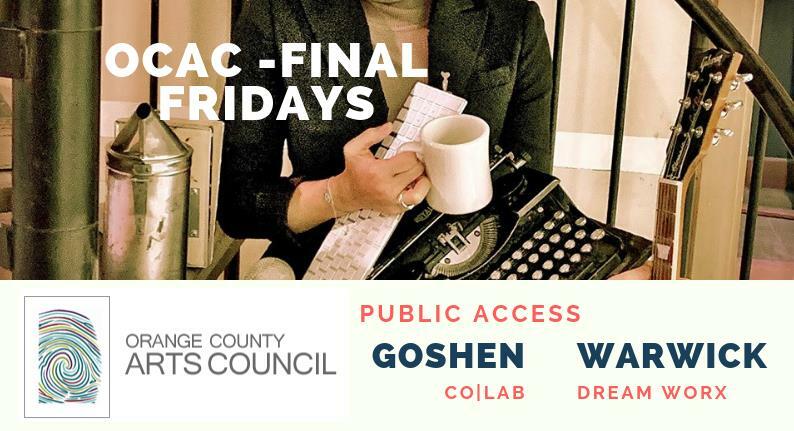 OCAC will be having open hours at both co|LAB in Goshen & Dream Worx in Warwick every last Friday of each month. During this time, the public is invited to stop in, say hello, get to know us, and let us know what you're up to. At these casual, collaborative & informative events, we aim to create a space where emerging creatives can meet their peers, build community and together define NEW RULES. 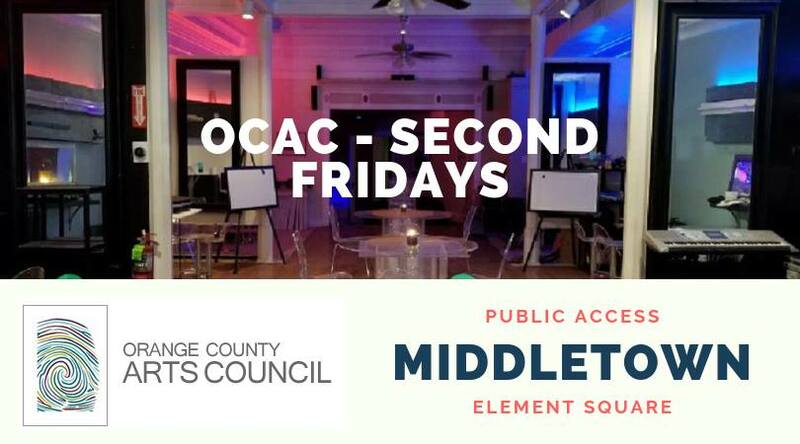 OCAC will be having open hours at Element Square every second Friday of each month. During this time, the public is invited to stop in, say hello, get to know us, and let us know what you're up to. 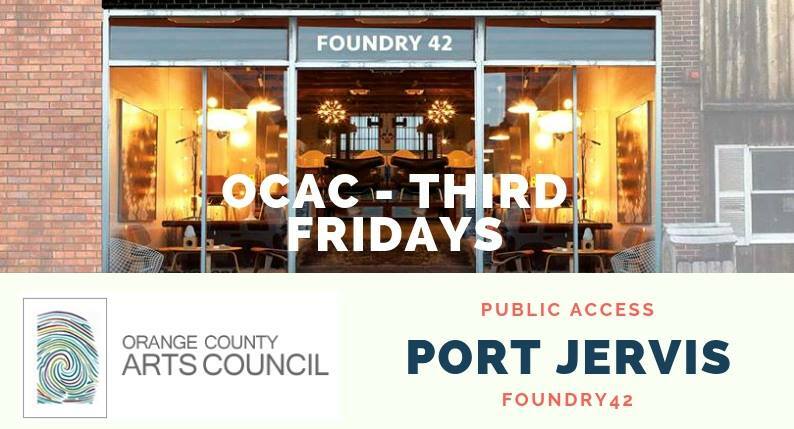 OCAC will be having open hours at Foundry42 in Port Jerivs every third Friday of each month. During this time, the public is invited to stop in, say hello, get to know us, and let us know what you're up to.